Armed with just a microphone, Thum pushes the limits of the human voice to create incredible soundtracks of impossible beats and phenomenal sounds, with scratched vinyl, the Michael Jackson back-catalogue, the didgeridoo and an entire fifties jazz band amongst his vocal repertoire. If you want an ultra-portable, high-quality Bluetooth speaker, then the Bose Soundlink is what you want ($199). 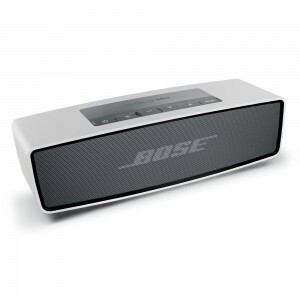 As it’s Bose, you expect a good product, but this little speaker really delivers. It fits in the palm of your hand yet pumps out surprisingly loud, crisp. full-range sound, including deep lows. It connects wirelessly to your smartphone, tablet, or other Bluetooth device. Remember the good old days of rubber band wars? Relive them with the Bandit Gun Rubber Band Outlaw Shotgun ($25). 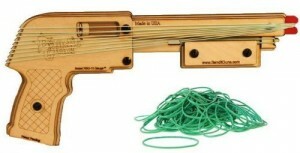 This pump-action rubber band shooter allows you to fling your stretchy ammo up to 25 feet via three different firing modes: single shot and rapid fire. 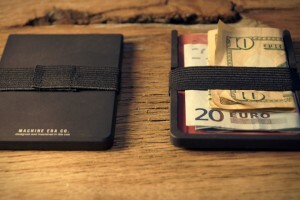 The Machine Era Wallet is a stylish way to carry your cash ($28-$45). It’s crafted from a solid piece of metal and measures in at a mere quarter inch of thickness. The aluminum version comes in a matte black finish, and the brass in an unfinished condition to allow the metal to age. I find it easy to nerd out on Star Wars, so I’m biased, but this book is just great. 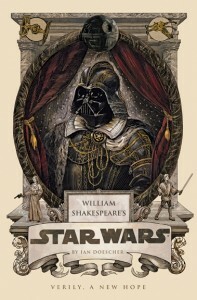 It’s an incredibly good adaptation of Star Wars Episode IV: A New Hope, using authentic Elizabethan grammar and diction while remaining true to the jargon and storytelling of Star Wars. It’s actually meant more for its literary value than for a few laughs. 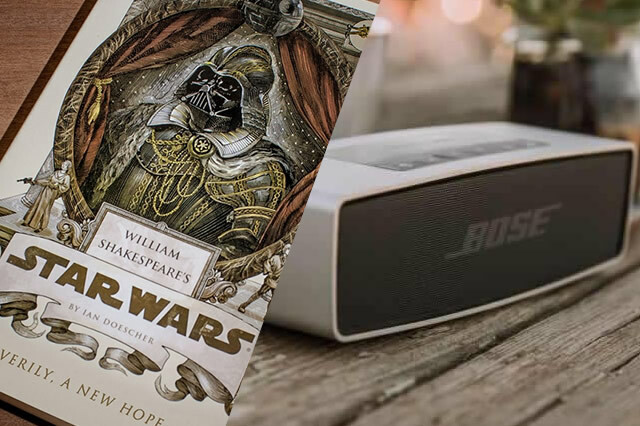 If you’re into iambic pentameter just as much as you’re into the battle between the Light and Dark Side, buy this book now. You’re going to love it. What do you think of this week’s picks? Have anything you’d like to add? Let me know in the comments below!